Nerdcore Emulation Station is correct, featuring a who's who of nerdcore over two albums. A few name drops are the likes of Mega Ran, Ill Gill, Sammus, SkyBlew, and perhaps a dozen or more artists from every corner of the nerdcore kingdom. Te initial N.E.S. album drops beats from a variety of classic games throughout gaming history. Parappa the Rapper, Metal Gear Solid, Sonic, and Mario are all represented on the album. These are accompanied by flows from 1-UP and the aforementioned litany of amazing emcees. "In the distant future, Emcees live happily across different galaxies providing entertainment and joy through their story telling to their people. An evil force plans to put an end to all of that. The imagidrains and their evil leader devise a plan to feed on everyone's imaginations simultaneously through an all out assault on every galaxy at once with stolen abilities. The Emcees fight but cannot withstand this onslaught of newly found foes and their powers. A voice appears in their head and transports them all to a new world where they must venture through uncharted territories, learn new skills, and fight new enemies in order to level up. 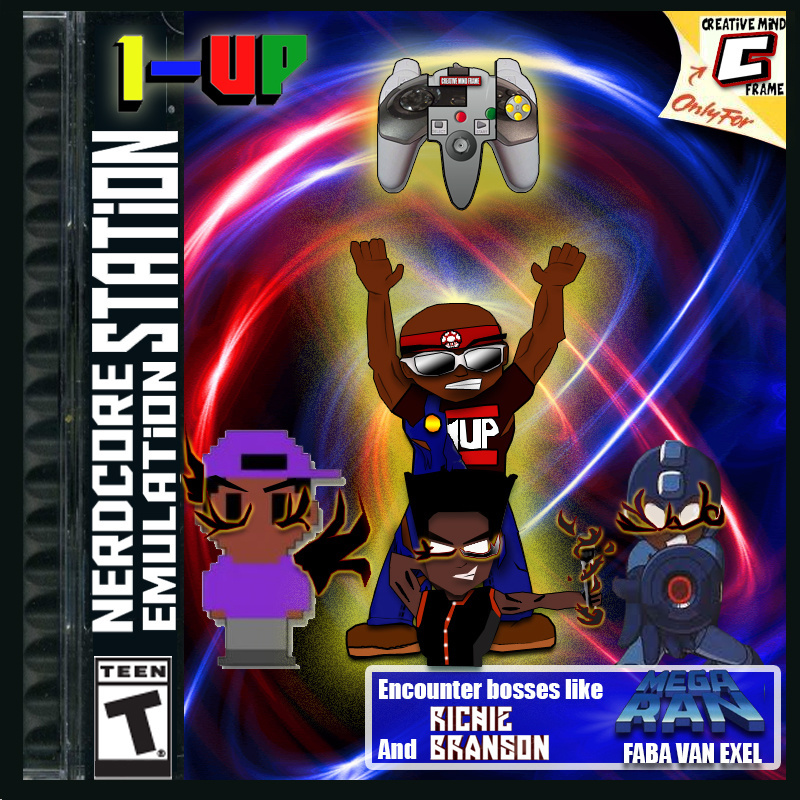 Follow 1-UP and many other Emcees as they fight through the worlds of Playstation, Sega Saturn and N64 defeating bosses and freeing them from the Imagidrains mind control, finding new items and leveling up so they can return to their worlds and defeat the imagidrains." This album is a ridiculous 25 tracks in length, with two or more emcees on every track, you'd be hard pressed to find a bigger collection of new and old nerdcore and hip hop talent. Despite the eclectic list of artists, the beats help hold the mixtape feel together over the immense amount of tracks. Remixes bring out the catchiest and most memorable parts of the video games they lift from, and keep the adventurous theme in mind as you hear the noble music of Zelda or the get moving beats from Super Mario. Think that I post the album stream and we are over here? We got a whole second album to discuss. "Join 1-UP In the second chapter of NES as he and his comrades venture to the Gamecube world in order to free the inhabitants from the Imagidrain army. They are currently pumping the planet's resources dry causing the planet to lose it's form and if nothing is done it will implode." That's right, it looks like the N.E.S. is chilling on the GCN planet for a full album, with remixes of music from Smash Bros. Melee, Metroid Prime and Pikmin, among many others. Sammus even reprises her role alongside Shammers (another one of my personal nerdcore favorites) as her namesake Samus in "Metroid Prime - Stage 7 (Ft Sammus, Shammers and W!SE)." The fusion of styles definitely makes this the stand out track for me. You can grab both albums for free via the N.E.S. and N.E.S. 2 bandcamp pages.